Structured primarily to benefit graduate students with a developing studio practice, the program is open to applicants currently enrolled in any MFA program. Artists who have just completed an MFA are also eligible to apply, and post-baccalaureate students with an exceptional portfolio may also be eligible. Special circumstances or questions about eligibility can be communicated to the program director in connection with your application. See APPLY & CONTACT. 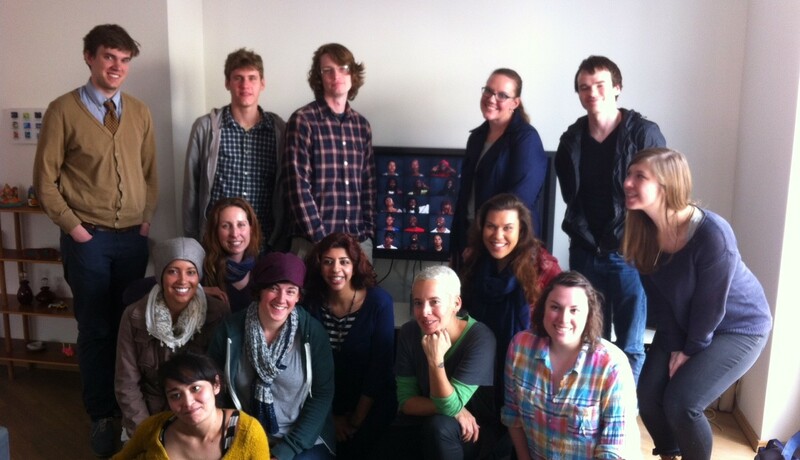 Program participants with video artist Candice Breitz.